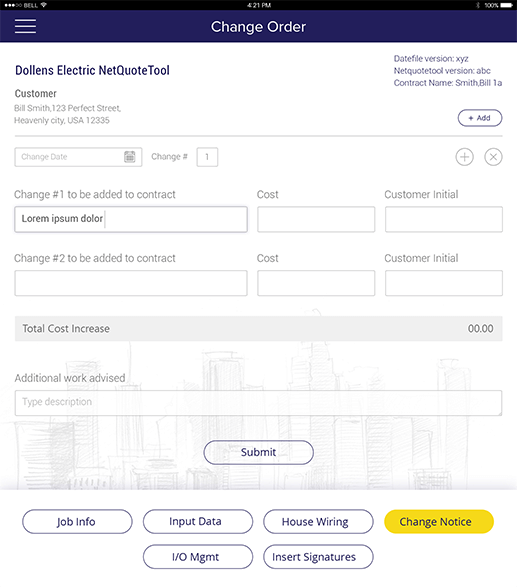 NetQuote is an enterprise-level online quotation application that allows our client’s employees to fill customer’s data and generate an instant quote to send it to customers directly from the app. NetQuote is an employee-specific enterprise application that is developed for our client’s enterprise named SunnyCal Solar. Mainly developed for employees, this application allows them to instantly generate quotes to send to customers. 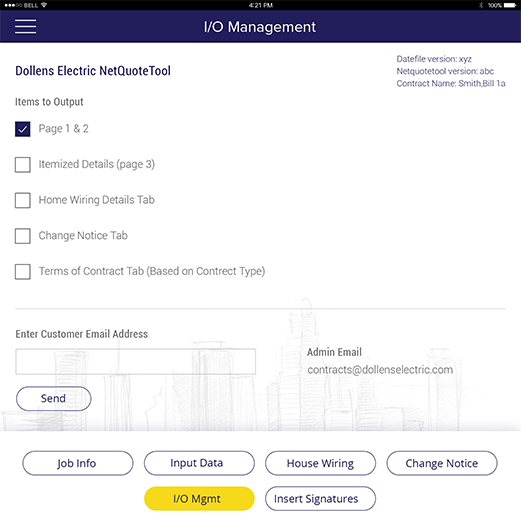 Using this application, employees need to fill customers’ requirements for solar power systems and installation services and instantly generate quotes based on the requirements. 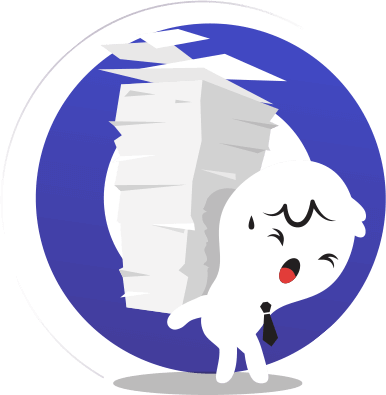 Moreover, NetQuote app has made it easier for employees to fill and access data anytime and anywhere. Based in California, the United States, our client is running an enterprise named SunnyCal Solar that provides complete solar power systems and installation services to residential and commercial customers. 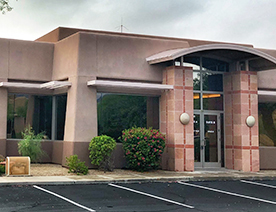 The company also provides regular grid-connected systems and battery backup systems and serves Amador, Calaveras, Stanislaus, and San Joaquin Counties of United States. Our client and his team were facing problem in managing customers’ data and requirements for services and products. They used to maintain an excel sheet, fill-in information about the job that needs to be performed. Employees were managing customer’s data and requirements for products and services in the excel sheet. The entire team of SunnyCal Solar was manually filling the information about the job that needs to be performed, wiring details, residential contract, commercial contract, rate sheet, total installation time, housekeeping details, and tax table. After filling information and customers’ data, employees manually generated product and installation quotation to send customers. Many a time, excel sheet created confusion among employees and the team used to spend maximum time and efforts in maintaining these sheets. As this entire process used to consume maximum time and efforts of employees, our client decided to automate the entire process and develop an enterprise application on iOS platform, allowing employees to instantly generate product and installation quote. Our client contacted more than 8 enterprise mobility solution providers and described his requirements. However, he did not get the expected solution from these companies. Then, he found us through Google and described his requirements to one of our sales representatives. We took almost one month to understand his business, products, services and the entire process that his team used to follow. In fact, we checked excel sheets that his team used to manage manually. After digging deep, we decided to develop an enterprise mobility app solution for his business. 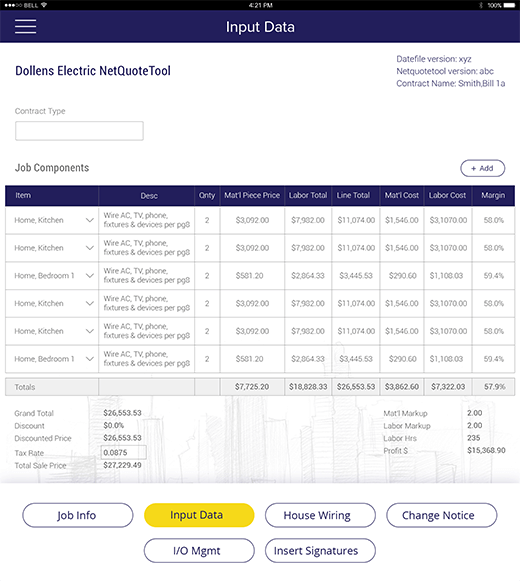 After taking some time to comprehend his requirements, our business representative made one proposal for our client, offering NetQuote tool, online quotation tool app. Using this application on the iPad, the SunnyCal Solar team only needs to fill client’s requirements. Based on the requirements, the app will generate the product and installation service quote. This securely launched application with our client’s organization has made it easy for employees to generate quotes for the customers. 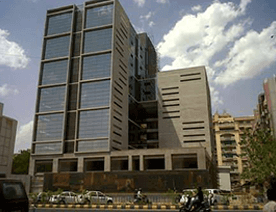 Now, employees don’t have to maintain excel sheet and fill wiring details, rate sheet, cost table, and tax table in it. 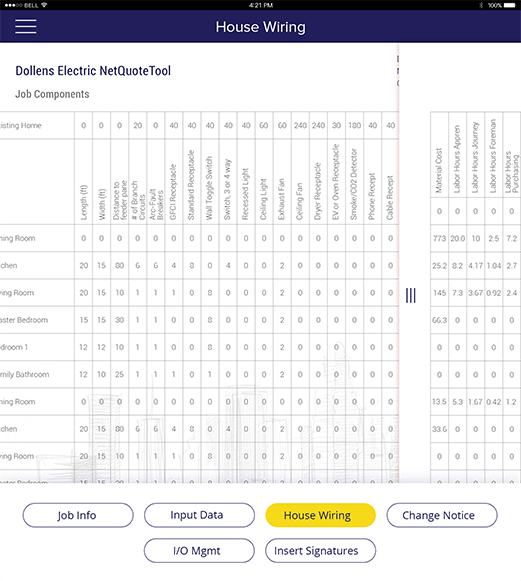 The team needs to enter job information and select wiring details from the given options and the app will generate a quote based on it. Using NetQuote application, employees manage all the data and information of the customers without any hassle. In fact, this information and data can be accessed anytime and anywhere and edit if requires. With just a few clicks, employees can import an excel sheet from the backend and update the latest data and information about the products, rates, and tax table in the application. 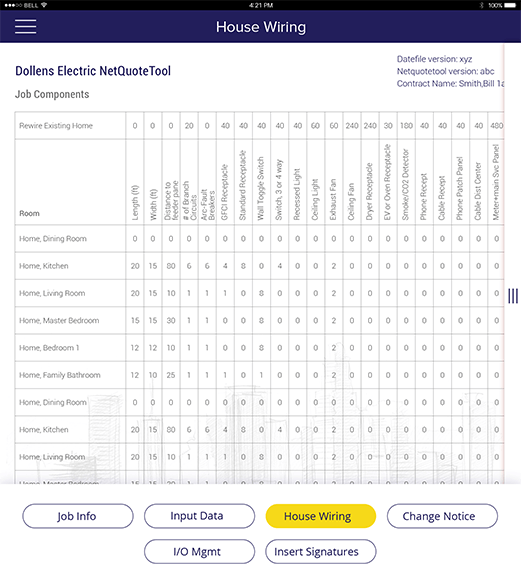 The app allows employees to instantly generate product and installation quote in real-time. Employees just need to enter basic information about the customer, the job to be performed and select requirements. Based on these requirements, the app gives product and installation quotation in real-time. 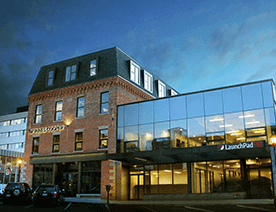 The application has a digital contract, allowing employees to fill customers’ information and job description in the contract and get it signed by the customer. The contract can be easily sent to the client through email. 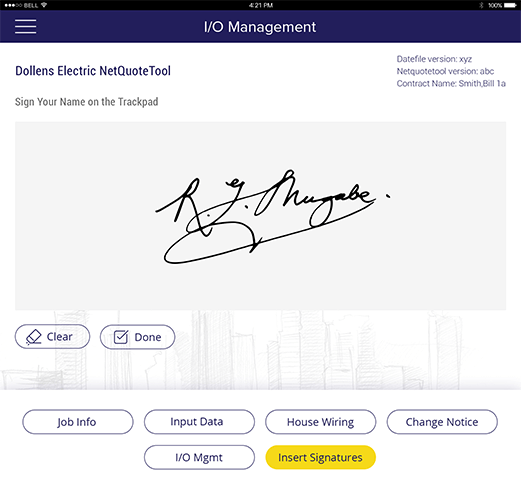 The app comes with a digital signature feature, allowing customers to acknowledge the filled information in the form. Once an employee fills the customer’s data and requirements, he can take a digital signature on the contact from the customer as an acknowledgement. Employees send product and service quotation emails directly from the app, allowing customers to make an instant decision. The app calculates how much tax employees need to charge to a particular customer based on his product, service and county. The application allows generating an invoice in PDF format. Get in touch with our experts and discuss your requirements. Book your 30-minute free consultation now. 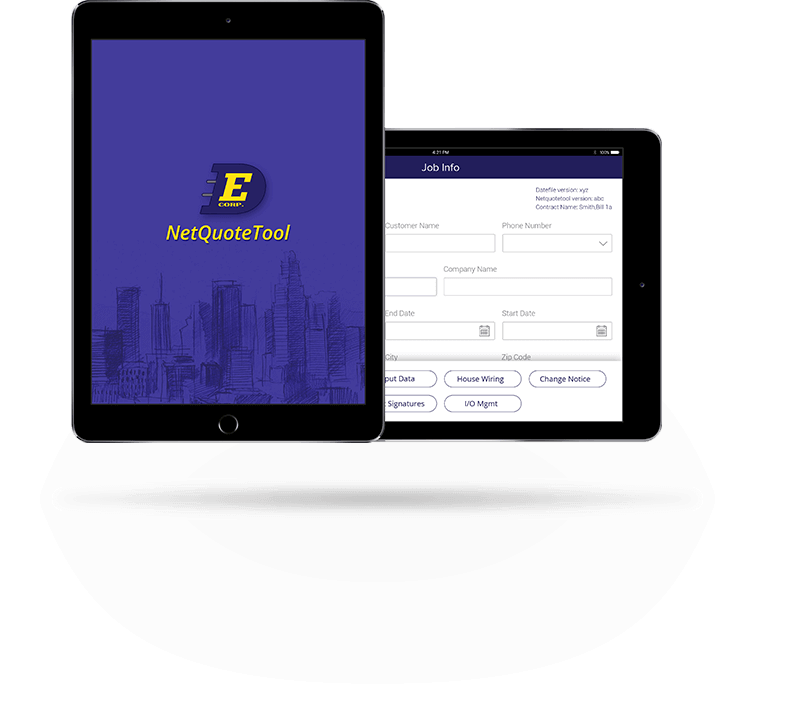 Our client wanted to make NetQuote tool application on iOS platform only. 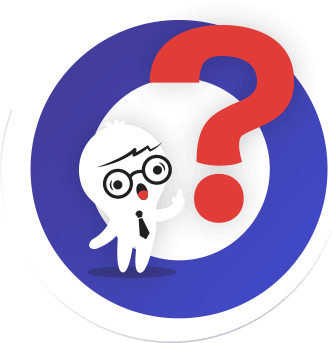 Considering our client’s requirements, we assigned one of our Sr. iOS developers, who has more than 3 years of experience in the iOS app development industry. During the development phase, our assigned iOS programmer faced one issue while generating PDF from tableview because there was not a single library that provides an accurate format and prevents split page in dynamic content. 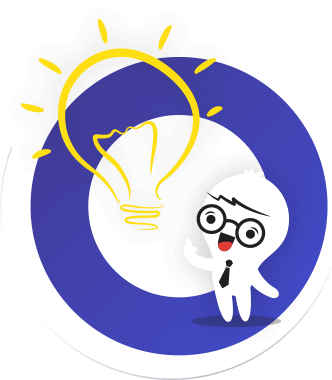 We along with our team successfully developed Netquote application. This application is currently used by SunnyCal Solar employees to maintain clients’ requirements and generate real-time quotes for customers.